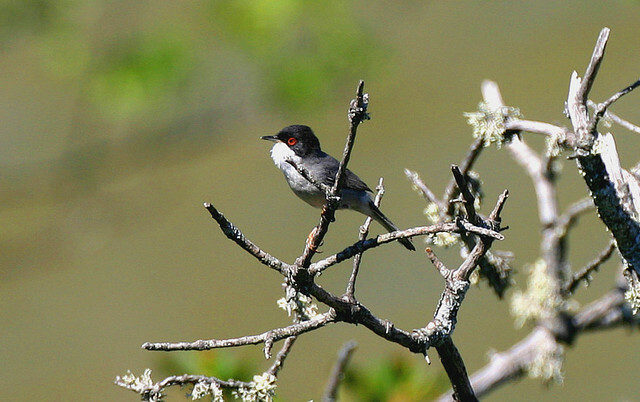 The Sardinian Warbler breeds in Southern Europe and is a vagrant in Western Europe. 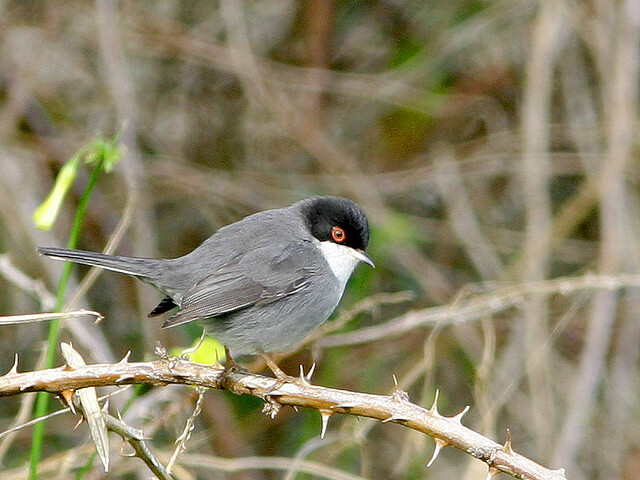 The male is light-gray and has a black head. The female is browner and has a light-gray head.